New West Michigan Whitecaps coach set the all-time minor league record for home runs. 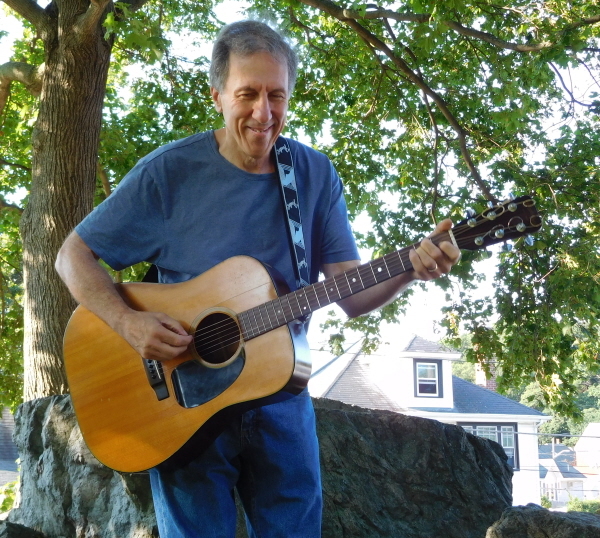 A recently released tune by Howie Newman explores his baseball exploits. Singer-songwriter Howie Newman has written and recorded a lively country-rock song about Whitecaps coach Mike Hessman. Retired slugger Mike Hessman is the subject of a new song I wrote and is included on my most recent album, When You’re Happy. Titled “The Ballad of Mike Hessman (Minor League Home Run King),” it chronicles his 20-year baseball career that began in 1996. I am a singer-songwriter in the Boston area and have written about a dozen baseball songs. Mike is now a hitting coach for the West Michigan Whitecaps, a Class A Detroit Tigers farm club that plays its home games in Comstock Park. Hessman set the career minor league record for home runs with 433, playing 19 seasons in the minors. The record of 432 was set by Buzz Arlett in 1936. To listen to the song, visit www.howienewman.com/hessman. The Toledo Mudhens jersey Hessman wore when hitting homer No. 433 – a grand slam against the Lehigh Valley IronPigs on Aug. 3, 2015 – now hangs in the National Baseball Hall of Fame. Hessman, who also played professional ball in Japan, Venezuela and Mexico, was a member of 17 different teams in his 20-year career. He also represented Team USA at the 2008 Beijing Olympics and, fittingly enough, hit a home run. I read about Mike in Sports Illustrated and thought it was a very interesting story. Here was a guy who must have really loved the game to have stayed with it that long and persevered through all the moving around and changing teams. The irony, of course, is that 433 home runs is a tremendous feat but it came at the expense of his ultimate goal, which was to have a long major league career. Hessman, 39, did play parts of five seasons in the majors, logging 109 games with the Braves, Mets and Tigers. He batted .188 with 14 home runs, 33 RBIs and 79 strikeouts in 250 at-bats. “The Ballad of Mike Hessman” is a country-rock tune, featuring me on acoustic guitar along with lead and backup vocals. The track also includes some nifty keyboard work by Tim Ray, a longtime piano player for Lyle Lovett who has performed with Aretha Franklin and Bonnie Raitt. The 10-track album, When You’re Happy, is available through my website (www.howinewman.com). Individual mp3s of “The Ballad of Mike Hessman” can be purchased from iTunes, Amazon and other digital music outlets. I am a full-time musician and a full-time baseball fan who has been to 88 major and minor league parks. I was sportswriter for 18 years, working for the Boston Globe, Associated Press, Patriot Ledger (Quincy, Mass. ), Lowell (Mass.) Sun and several other suburban newspapers. I covered the World Series in 1985 and 1986. Combining my love of baseball with music, I've produced two CDs of baseball songs, Baseball’s Greatest Hits, Volumes 1 and 2. Both albums have been accepted into the National Baseball Hall of Fame Archive in Cooperstown, N.Y. My label is Major League Records and my publishing company is Chin Music (BMI). Some of my other baseball compositions include songs about Mario Mendoza, Doug Mientkiewicz, Tug McGraw and Bob Heise. I perform in a folk-rock duo called Knock on Wood (www.howienewman.com/knockonwood) that plays concerts all over the New England area.